We’ve enlisted groundbreaking U.S. Marine Corps pilot Vernice “FlyGirl” Armour on a mission to empower you, your team and your company to be stronger and more effective. We also follow your money down potentially dangerous wrong paths. Gartner expert Dennis Gannon is our professor in a master class on building a better business-financial partnership. And when it comes to your corporate culture, we’ll take a lesson from our childhood – violence doesn’t really solve anything. 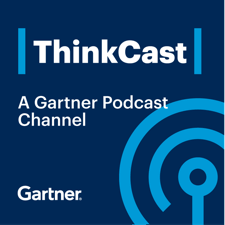 Graham Waller and fellow Gartner expert Bruce Robertson join us with some culture hacks that will purge those fears. Vernice "FlyGirl" Armour: What keeps us from taking off? Bruce Robertson and Graham Waller: What’s a culture hack? Senior finance executives come to Dennis Gannon on a daily basis for his perspective on how best to maximize their returns on reinvesting in their businesses and when to return capital to shareholders. In an era of uncertain growth opportunities and intense global competition, finance leaders rely on Mr. Gannon's expertise to help create world-class budgeting, forecasting, and decision support processes within their organizations. 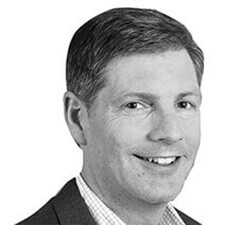 Since joining the company in 2004, Mr. Gannon has become well-known for his keen ability to connect the dots between finance functions and bring a long-term perspective to member challenges. This has made him highly sought after by CFOs, Treasurers and other finance leaders. Prior to joining Gartner, Mr. Gannon consulted professional sports franchises on customer retention strategies. He earned an MBA with honors in Finance and Sports Business from the University of Oregon, and also holds an M.A. in Philosophy of Science and a B.S. in Mathematics from Virginia Tech. Mr. Gannon is based in Portland, Oregon. He is an outdoors enthusiast and you can find him most weekends hiking along the Oregon Coast, or playing his guitar during the many rainy days of the year. Known simply as “FlyGirl”, Ms. Armour ignites her audiences with a dynamic spark that can’t be extinguished. From the moment she leaps into the audience, she shows attendees how to go from “Zero to Breakthrough” and create a personal flight plan utilizing her candid strategies to help win on the battlefield of life! Leveraging her “Breakthrough Mentality” mindset, she propelled herself from beat cop to combat pilot in a record-breaking three years and became the United States Marine Corps’ first African-American female pilot and, shortly after, she was recognized as America’s First African-American Female Combat Pilot by the Department of Defense. Upon completion of two tours in Iraq and leaving the military, Ms. Armour launched VAI Consulting and Training, LLC. As featured on Oprah Winfrey, CNN, Tavis Smiley, NPR and others, Vernice Armour’s fresh style and presentation methods have inspired hundreds of organizations and individuals with an understanding of the passion and leadership required to excel. 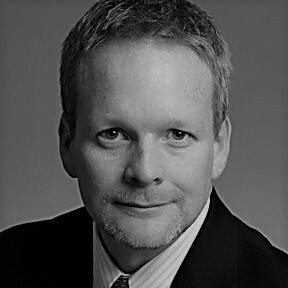 Bruce Robertson is a Research Vice President and Distinguished Analyst in Gartner's CIO Research group, wherein his general research covers CIO perspectives on changing people's mindset and behavior in IT and across the business. More specifically, Mr. Robertson focuses on emerging innovative methods and best practices including the change leadership tactics and capabilities that inspire and engage people on any needed transformational change journey. With these, CIOs can lead digital business transformation and build a culture ready for anything. Furthermore, his emerging research agenda seeks to clarify how an increasingly agile IT must mesh with digital design business practices including design thinking and lean startup, and this is an increasingly common target for digital business transformation efforts. His expertise areas include digital design, process thinking, change leadership, high-performance teams and culture dynamics, the people and process side of digital business transformation. Mr. Robertson has more than 25 years of experience in end-user IT areas, including process, architecture and infrastructure planning and research functions. He joined Gartner in April 2005 with the acquisition of Meta Group. Before joining Meta Group in 1995, he was Senior Technology Editor at Network Computing magazine, a Technology Consulting Firm Director and an IT Manager. 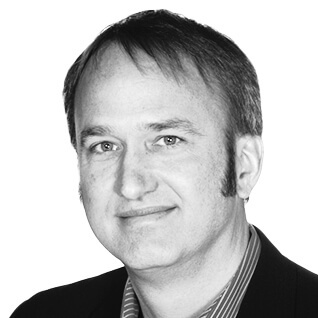 Graham Waller is a Research Vice President in the Digital Business Leadership research team. He works primarily with CIOs, CEOs and digital business leaders with an emphasis on contemporary leadership (i.e., fit for "digital era purpose") and realizing business advantage via technology. Mr. Waller is a co-author of two Gartner books: "Digital to the Core: Remastering Leadership for Your Industry, Your Enterprise, and Yourself" (Bibliomotion, October 2015) and "The CIO Edge: Seven Leadership Skills You Need to Drive Results" (Harvard Business Review Press, 2010). He has also been a co-author of the last three CIO Agenda reports, most recently "Building the Digital Platform: The 2016 CIO Agenda." Mr. Waller came to Gartner from Meta Group, where he led CIO-level research on transformational change as part of the Executive Directions service. This included publishing a significant primary-research, multiclient study titled "CIO as Enterprise Change Agent," as well as conference speaker engagements and serving as an expert analyst in numerous industry press articles on this topic. Mr. Waller has more than 20 years of experience in driving business results and achieving measurable value from IT-enabled transformation. He has held both IT and business leadership positions within two Fortune 100 end-user and IT service provider companies. He is a hybrid business-IT leader and a recognized authority in the disciplines of leadership and driving value from technology investments.